Club Penguin Cheats by Mimo777 Club Penguin Cheats by Mimo777: Club Penguin Weekly Field Op Number 18 Cheats! 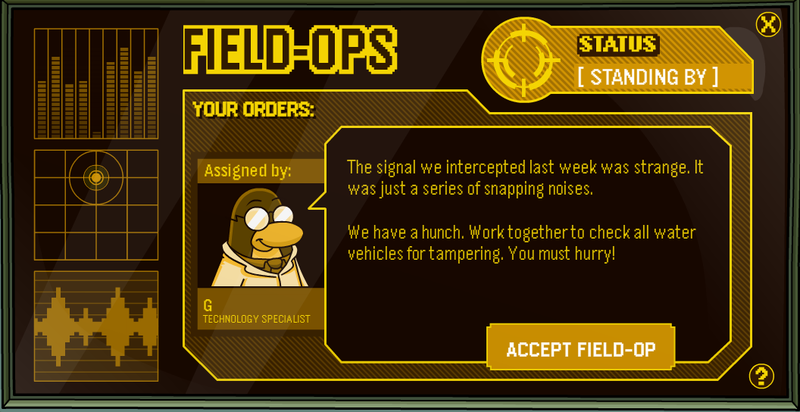 This week's Club Penguin Field Ops is here! Finally a new challenge for us! Step 6. Go to the Dock. Step 7. 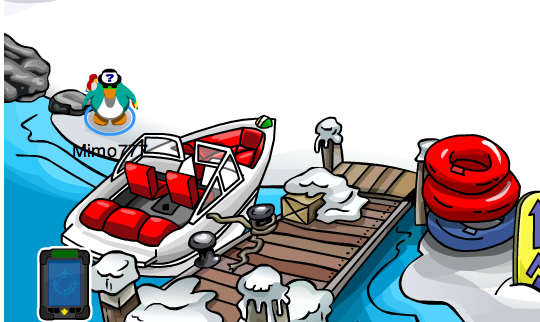 Go to the left of the Hydro Hopper Boat. Your spy gadget light will turn green. 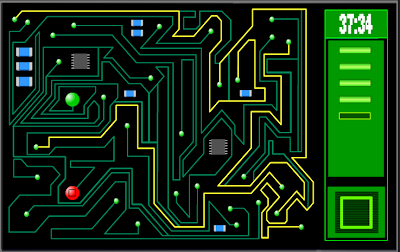 I was hoping the delay in releasing the Field op this week would result in another new puzzle, but nope, just an old one! Oh well, at least this one is fast and easy, right? Or would you rather have a more challenging one? Thanks for the walkthrough Mimo. I think I would prefer a more challenging feild op. They're just more fun. hey mimo! Have u notice the last page of the stamps book has a huge ? in it? what do u think it could mean? It's just some random mystery. To be a CPG MOD you have to answer questions, follow the rules (are located on the right sidebar or a link a few posts down) and just be plain awesome! Hope I helped! yep thats his job to help the penguins in need! I would like a more challenging one. Hmm, they really need to make new ones or the Field Ops will go dry... If you know what I mean. Mimo's walkthrough are always the best! Yea, im with you on that one. 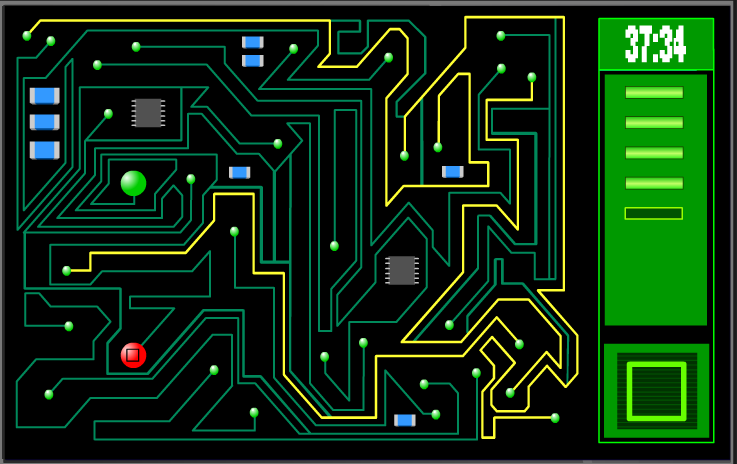 They should make one with a light you gotta drag around with your mouse in a maze. That would be fun! It must be a secret code... Just kidding, I know what a questoin mark is! Did I get you? No? Nevermind then. I think you have to collect all the stamps to unlock whats behind that page. We'll find out in the future. To be a CPG Mod, all you have to do is answer questions and give advice to other penguin's comments. Then put (CPG MOD) by your name. If you need more help you can look at Mimo's rules about being a CPG Moderator! Good luck! A tip for being a mod on CLUB PENGUIN GANG is try to answer there question with no spelling errors, and with good explaining. I suggest you try your hardest and try to answer someones question before another person steals it! I think the huge ? could mean Stage stamps because theres people with play customes makeing the page. To become a mod you should start by responding to comments and answering questions, just like i'm doing now. Mimo will then decide on quality not quantity of responces you have posted. ~~~~~~~~~~~~~~~~~~~~~~~~~~~~~~~~~~~ Maby room for a new stamp file so cp cant run out of space! I think he already caught that one. But good catch though! Well, you have to answer people comment or make your opinion( like this...). You need to be patient. It took me to become a Super Mod in like about the whole summer. But it's worth it. When you feel like you are done, put (CPG Mod) besides your name. Come on! I always make a mistake! When I was modding Moosecake101's comment, I put Jojojo333256 or something. Wow. Yeah, I agree! I like redoing the missions to get all my stamps for those! I also love doing them anyway! That could either mean you don't have a stamp of some kind or something is coming up! :O Maybe you have to have all the stamps for that page to show! See Pee Gee Mod to the rescue! :D To be a CPG mod, all you have to do is answer questions in the comments! Then, sign your name with (CPG mod) after it! Good luck! You can use this comment as an example if you want! Yeah, I agree with a lot of people about field OPS. It comes out every week. Yeah, that's great but it's not fun! It's just the same old easy puzzles OVER and OVER! I wish they had harder puzzles. Like a field OPS with different levels that you could choose from. Tell me what you think! maybe it's just saying that the stamp book isn't finished yet. Besides using the app cloud browse, will we be able to play club penguin or any other flash games on the iPad? hey Mimo.... i would LOVE to be a CPG Mod,But I Don't know how. Any Tips? Suggestions? Well, i am a Fan of your site and It has helped me alot. Greetings from Mexico, Moosecake101! To be a CPG Mod, simply answer people's questions. Be sure to be nice, polite, to not lie about stuff, and to read the rules found by clicking on the word "here" on Mimo's post. well here are some tips, you can awnser any questions while comenting, help others, be phuny, be cool, be very nice, and most off all have fun. hope i helped. yeah, mimo is very helpfull. i think mimo noticed, but your still awsome for letting others know. i think it could be somthing very cool or mabey even spookey. I think that its Stage pins! because theres play custome people makeing the page. Dear Moosecake101, tips to be a good mod... hmm.. lets see... Well Mimo likes you to answer the their questions in your own way, like if i copied someone else I wouldn't become a mod, so my tip is be original! HOPE i helped! Yeah I know. I don't care about the challenge level as much as I would like them just to be different! I want more missions also! Me too! I would like some new ones though, also easy lol! Maybe its gonna be a secret page for secret agents, ninjas, or you need to unlock it with a toy code! Or it might need some finishing touches of course. am I the only one who noticed that when G explains the mission he says that when the intercepted the signal all they heard was snapping noises, hmm what could this mean? Yea, I guess thats true. I like hard ones cause i'm more a person that likes a challenge. But easy ones are cool too. Gives you a break and you can earn medals faster. It is pretty fun. Also it was the first, which you probably already knew but imma tell you anyway. I like the noises it makes when you match a pair! Good thing there's more now! Must. Mod. Comments! Are you working on a science project? lol, don't worry. You're doing great. We all make those mistakes. Cool. I hope you get there. If you don't know how all you gotta do is answer questoins or give advice to other penguin's comments, then put (CPG MOD) by your name. If you need more help you can check out Mimo's CPG Moderator rules! Maybe they can add hardness levels. Like if you wanted to choos easy, medium, or hard. That would be pretty neat! I totally agree with you! They aren't that fun and they don't look that fun either. Sure, they were a big hit when they came out, but now it's just the same old thing. But I am pretty sure that Club Penguin is going to release some new puzzles soon. Well, I hope so. Great ideas and keep your eyes peeled for any new puzzles! I'm starting to wonder if it will ever finish. Lol. I think it might mean the same thing. But I think you got to do something to get that page. My guess is to collect all the stamps in the whole album. We'll have to wait and find out. You know, i'm not really know much about iPads, but I think Mimo discussed this with us a few months ago. He thinks they should add Club Penguin to the iPad but it hasn't happened yet. We'll have to see someday. and Congrats to all the mods so far! The easier the field op the better! also Helicopter game should be on Mimo games, But anyway waddle on! You're starting move up dude! Good job! Lets all keep up the good work! Congrats Muddi Ducky and Scamper! Ohh, I hate when that happens. I call those a work depression. lol. I had one of those a couple weeks ago. I wish you the best of luck to get out of it! Its alright! We all make mistakes! No need to worry about it! To become one all you have to do is answer questions and put CPG MOD after your name! Some tips i can give you is stay on the look out for questions. Answer them correctly. And lastly, just be patient! Mimo will add you someday! Hello everybody. I want to congratulate Saavy, Safa153, Stickers303, Scamper52596 and Muddy Duki for becoming mods! Great job! I wish I were an awesome mod just like all of you! Keep going with all your hard work! Thanks for posting these on your website. Don't you think this field op is to easy? Mimo did mention the question mark before, but he said he didn't knew what it meant. I think it means it's a mystery on the new stamps to come. Mimo walkthroughs are pretty helpful! I agree, but I also wish they would make new ones. please don't post random things, thanks! I like easier field ops too! And I agree that Mimo should add Helicopter Game on Mimo Games. That would be cool! They need to come out with NEW field ops, other wise no one will want to do them! Anyways, thanks for the cheats Mimo! I would prefer a harder one, 'cause I like challenges. Yes, Mimo has already posted about that. But good looking anyway! Hey Mimo.... I Would LOVE to be a CPG Mod, But I Don't know how. Any Tips? Suggestions? Well, I am a Fan of your site and It has halped me alot. Ummmmm, yeaaah. Firstly, read the CPG Mod rules. That's where I started when I became a CPG Mod ages ago. Secondly, a tip is to get onto posts first and start modding straight away. Mod heaps of comments! I'm sure one day you'll get on the list. That's really all I can do to help you. Keep modding! Mine too. I like that puzzle cause it's fast and quick and I like everything about fast and quick cause I'm fast and quick. What did I just say? Guys keep modding. I'm not sure if I'm gonna get on the list cause' there's only 2 spots left. But I don't care cause' I mod to help fellow penguins not to get on a list. That's the kind of person I am. But keep up the awesome modding. Going back to mod now! When are we gonna see Herbert and Klutzy again? I want revenge for what they did to the old HQ. REVENGE! REVENGE! REVENGE! I hate it when that happens to me and I'm modding! You have to go back to older posts where there are comments you have already modded. Either that or wait. I totally agree! I get them done in seven minutes max! And it's the same puzzles over and over! Although it is nice that it comes out every week. But seriously, can't they make them more challenging? Anyway, just saying I agree! Thanks for the walkthough Mimo. Ya there always the best! just wondering which feild op is ur favorite? and congrats to all the mods so far. -----------------------------------There aren`t any mods yet just to tell you. Waddle on! I think I would prefer a more challenging feild op. nice work being a mod though! that was so nice of u and i think u would be a great mod! yea thx mimo for all the walkthroughs you have given us! ;) waddle on! Yeah I think your right! They need new ones and they are already getting dry. I do think the challenges should be harder. The locations are quite hard on some of the weeks. ...ooookkkkkk!Got nothin to do with the post but oh well. I have lots of stuff to do aswell but I just think it's more fun to have something challenging that isn't over in ten seconds. 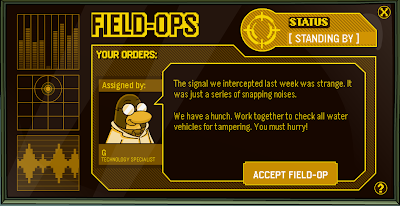 Club Penguin needs to make the field ops longer. Yeah! I really think the field ops have gotten dry now! I think you're right! I think it's just representing something is gonna show up. scamper52596 said..You're starting move up dude! Good job! Lets all keep up the good work! Yeah I noticed that too! I think it's Klutzy's pincers snapping something. I'm not sure though. You forgot Fluffygood, Fredfan4ever and Bobhead202. But still, congratulations to all of them. Yeah! I think it's too easy! You're right! That's the kind of person I am too! It's just fun to mod! I agree! The levels would be an awesome idea, and maybe you could choose what to do each week and unlock new games! I think it may be Hebert and his crab sidekick! What do you think it could be? I agree! The harder, the better! mini-mod (pretend to be a mod, help people and answer questions). Thanks for comment mimo really appreciates it come back tommorow for more mimo cheats! What can I do to become mod? There are mods did u check yet? To be a mod on CPG simply answer someones question nicely and short.After you answer someones question make sure to put (CPG MOD) on the end not after your question or name.And also answer them correctly. To be a moderator on CPG simply answer someones question nicely and keep it short.Also put CPG mod after your name or Mimo won't make you mod.And dont be rude or mimo will kick you out of the mod list when you worked hard.Also you do not put CPG mod next to your name if your not answering a question. I believe that he was already a moderator, but Mimo readded him. Simply answer questions and comments people have, and try to be nice. Also add (CPG Moderator) or (CPG Mod) at the end of your name! Good luck, and have fun being a CPG Moderator! To be a mod answer someones question nicely and keep it short. Also at the end put CPG MOD and your name.Do not put CPG MOD next to your name if your not answering a question. I had already congratulated them in another comment, but I think I should've done it again on this comment! Greetings from Mexico, Super Bob1! To become a mod, simply answer people's questions! Be polite, nice, and don't lie! For more info, go to Mimo's post about Mod Rules, you can find the link on Mimo's post about the do over. hey mimo! Have you noticed the last page of the stamps book has a huge ? in it? what do u think it could mean? Wow, I did notice! Maybe they will have tons of mystery stamps? Hope we find out soon. I agree! I also think the mission is easy, but sometimes the locations can be quite tricky! The best way to become a CPG Mod is to answer a bunch of questions. If you want more you can read the CPG mod rules in one of the last few posts. Really? Well, now there's 195 comments! There was one that had something like 200 or 400 comments! Cool, huh? Yeah, same here. Didn't you notice it was the same as Mission 11 where you have too put in the CD? Pretty similar, don't you think?